At the rally William “Bill” Carlson, Crystal Ellsworth and Edward Miller III were recognized as the top producers in each of their offices. William Carlson & Edward Miller were also recognized as two of the top listing agents in the entire Howard Hanna organization. 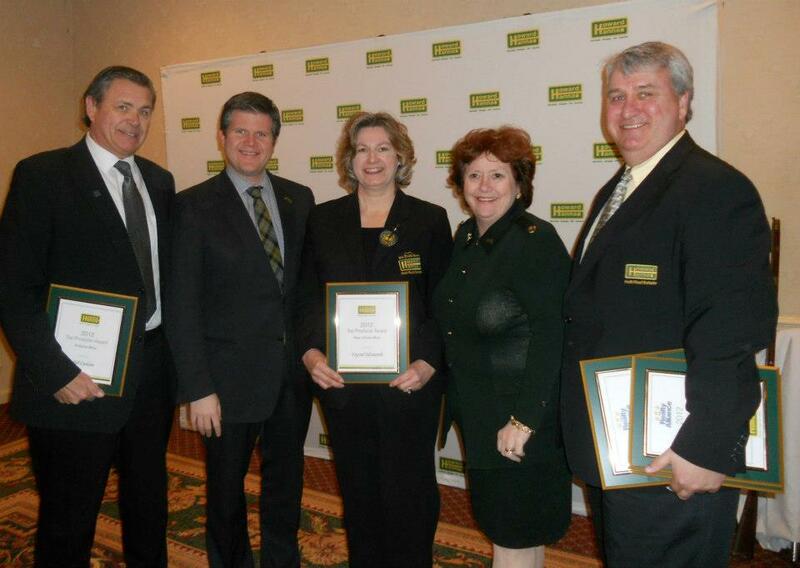 In total 16 agents from Howard Hanna Holt were recognized for their sales production. Lisa Barber, Roger Britz, Catherine Brooks, William Carlson, William Corsi, Diana Holt, Steve Holt, Olivia James, Anne Lapaglia and Edward Miller III were recognized as multi-million dollar producers. Crystal Ellsworth, Adele Harrington, Connie O’Connor, Renee Pchelka, Patricia Prusha and Jennifer Wohler were recognized as million dollar plus producers. William Carlson, Edward Miller, Diana Holt and Steve Holt were awarded the Realty Alliances National Sales Excellence Award. This award is presented to the top 1% of sales agents in North America. Chautauqua County-headquartered Howard Hanna Holt Real Estate, www.HowardHannaHolt.com, offers comprehensive residential and commercial real estate sales, leasing and related services including real property appraisals, property management, development services, vacation property rentals and traditional rentals. Owned by the Holt family, the local affiliate of Howard Hanna Real Estate Services has offices in Fredonia, Mayville, on the grounds of Chautauqua Institution and at Peek'n Peak Resort and Spa. Howard Hanna Real Estate Services is the third-largest independent real estate company in the United States, the country's fourth-largest full service real estate company and the sixth largest mortgage banking company in the nation. The company serves the Western New York, Pennsylvania, Michigan, Ohio and West Virginia real estate markets.